1st Source Servall Appliance Parts has the Right Part, Right Price, Right Now! 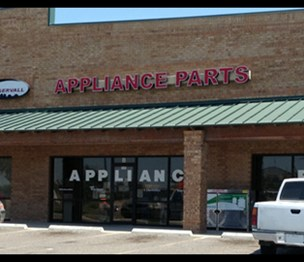 1st Source Servall Appliance Parts of McAllen, TX is the appliance parts store that's right next door. With over 80 years of experience in appliance parts and HVAC Supplies, we have everything you'll need to repair your broken appliance. We're dedicated to providing you with excellent customer service, parts availability and prices. Stop in today and we'll be sure to help you with any questions and all of your parts needs! According to our records, this business is located at 1305 East Pecan Blvd, Suite B in Mcallen (in Hidalgo County), Texas 78501, the location GPS coordinates are: 26.2066966 (latitude), -98.2051075 (longitude). 1st Source Servall Appliance Parts is categorized under Rubber Stamps (SIC code 5999). Known organization manager is Adam Sustitia. Current estimates show that the unit has a sales volume of $7,000,000 and staff of approximately 5 people. You can contact the company by phone at (956) 630-1817; the following fax number is also provided: (956) 630-6081. Business website can be accessed at www.1stsourceservall.com. Open from 8:00 am until 6:00 pm (Monday - Thursday), from 8:00 am until 5:00 pm (Friday), from 9:00 am until 2:00 pm (Saturday).